Julia Ehrt (she/her) is the Director of Programs at ILGA where she develops ILGA's programmatic work and manages the programs team. Before joining ILGA she was the Executive Director of Transgender Europe and has been central to TGEU’s growth and development in the last decade. She gained wide recognition as trans activist in Europe and contributed significantly to how trans issues are perceived and debated today in Europe and beyond. She is a member of the Steering Committee of the International Trans Fund (ITF), a board member of the Association for Womens' Rights in Development (AWID) and a signatory to the Yogyakarta Principles plus 10. 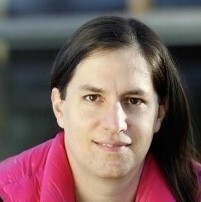 Julia holds a PhD in mathematics and lives with her partner and child in Berlin and in Geneva.